Authors face a great many challenges as we put together our manuscripts. Primary among them is working to erase our tracks on the page, creating a seamless connection between readers and our fictional world. So how do all we author-devils go about convincing our readers we don’t exist? After analyzing all 71 individual scenes in the latest draft of my novel, I discovered one common problem: my authorial presence on the page created barriers between the action and the reader. I needed to get out of the way. Narrowing in revealed three main areas where my footprints on the page depressed the action. I had created a protagonist I really liked, but who was one–dimensional; I was filtering the action in my descriptions; and I was oversharing irrelevant setting and description details. When I’m reading a novel and I encounter a one-dimensional protagonist, it’s like I’ve sat down in a poorly made chair. I immediately wonder, “Who made this?” If a reader asks that question of a story, the author may not have done enough work to create a character independent of themselves and let the reader experience the tale without wondering how it was made. Great stories seem organic, as though the author channeled them, rather than created them. The writing can be brilliant, and the reader will notice the beauty in the construction of sentences and paragraphs, but what they absolutely shouldn’t notice are clunky story mechanics, including poorly realized characters. These reveal a sort of clumsiness — and clumsiness draws the author out into the open. It’s tough to give your hero faults and flaws: vanity, an ego, even dark, criminal impulses. If you do, how can he or she possibly remain a good protagonist? Aren’t all our heroes free of vice? Our characters acting as they must — and not as they should — is a hallmark of separation from the author. It is the antithesis of contrivance because, as protagonists become believable individuals — with warts and all — they tend to make decisions that reflect their many varied facets. Learn to cultivate flaws in your protagonists. Collect and log them. If you don’t know where to begin, gather inspiration on key character flaws, and learn why your character needs them. We like flaws because they make our characters vulnerable and allow us to empathize with them — precisely because they are not perfect, because they are like us. My protagonist, Duncan, had many likeable qualities in my first draft. He was well-intentioned, moral and without vice; a victim but rarely a predator. And, over the course of the book, while he dealt with certain troublesome episodes, nothing forced him to change. His flaws were in no way tied to the obstacles blocking him from achieving his goals. He was without reproach; in other words, boring. In my rewrite, I peppered Duncan with flaws. I wrote about what might shame or embarrass him. I flung at him snobbery, pedantry and annoying idiosyncrasies. I applied these flaws to specific scenes to see how they would change his decisions — and noticed an immediate and remarkable positive effect. Suddenly, Duncan was making his own choices, rather than me making them for him. He began acting as he must, not as he should — and in doing so gained an important separation from my undue influence. Certain words filter the action from the point-of-view character to the reader. They disrupt your story’s flow by creating distance between the reader and the action on the page. At first, it’s tough to spot these filter words. Here are a few of my favorite resources on reducing filters and eliminating telling words. Author Jami Gold has an impressive list for creating specific Word Macros that help you find filter words during your revision phase. Filter: “Nonsense,” Duncan said, feeling the letters N and S crash against the numb shores of this front teeth prior to completing the sounds. No Filter: “Nonsense,” Duncan said — the letters N and S crashed against the numb shores of his front teeth. Filter: “Sure, sure,” she said. “Does he know he’s meeting you . . . Duncan?” She looked down over her empty pad toward his name, scribbled in eyeliner pencil. No Filter: “Sure, sure,” Sheila said. “Does he know he’s meeting you . . . Duncan?” She drew her painted fingernail down over the empty pad and toward where his name was scribbled in eyeliner pencil. As with many writing rules, consider it a suggestion more than a fundamental requirement. You may find mere awareness of filters helps you to write tighter, more vivid descriptions. Writers know more about their story’s setting and their characters’ thoughts than anyone else. The problem is, we often share more than is necessary, leading to large chunks of description and internal monologue that break a scene’s momentum. We all know the rule: show more and tell less. But it’s become a cliche because it can be interpreted about a million different ways — so what the heck does it mean in practice? When we write scenes, we present an isolated viewpoint on a moment of conflict to advance the story for the reader. In a moment of conflict, people rarely notice what’s happening around them. They don’t take in exhaustive setting details or spend time trying to analyze their surroundings. They are in the action — where every move, every word, every detail either helps them get what they want, or pushes it further away. Imagine being in the front row of a play. To access the moment of conflict on stage, you need to be close to the action as it occurs. If a narrator is standing between you and the actors, they depress the intimacy of the action. So, showing is largely about getting out of the way of the action — drawing out into plain view only those items that advance the scene. Subtext is important here — the ability to tease out items that add meaning to a scene without drawing too much attention to them. For example, consider Big Jim Rennie’s golden baseball in Stephen King’s Under the Dome. To Rennie, the baseball at first represents power and prestige, until it becomes a literal manifestation of those delusions. When the violent drama finally plays out on the page, the baseball’s established subtext enriches the scene without impeding the action. In a pass during your rewrite, visualize where you tell more than show. In each scene, create two different highlights — yellow for setting and pink for internal monologue. Highlight the blocks, then print out the scene and look at where your interjections slow the action of that scene. What details are unnecessary to the subtext of that isolated moment? Of course, telling can be useful for summary scenes to help the reader understand the aftermath of several intense scenes of conflict. In many plays, narrators come on stage at the beginning, in between scenes, and maybe at the end to recap the action. Such pacing mechanisms give the reader time to take a breath before plunging back into the action. But in most cases, scenes benefit from cutting down — or eliminating altogether — those interjections that slow action and impede the story. Have you found it challenging to remove yourself from a story? How do you take yourself out of your fiction writing? Thank you! I was just starting to think I could never be a good writer…at least now I know what to pay attention to! Feeling that way is common. But remember, it’s just a feeling, not a fact. Every time you feel that way, write it down – and then go find something craft related to work on. Put your anxiety, and doubt and fear into your work. Every time you want to quit – remember why you started. I saw that quote written in chalk on a brick wall somewhere, and now I think of it everyday. So glad you found something useful in here. Thank you for taking the time to read the article. Thank you for this article. The examples of filters helped me understand what you meant and will allow me to improve my writing. So glad you found a tool, here, that was useful to you. 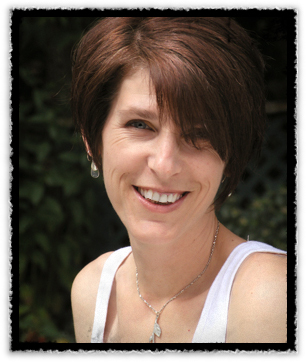 Do be sure to check out Jami Gold’s site – and her many wonderful Macros. THANK YOU for this article and the wonderful examples you used. This is what I try to tell my clients–many of them are first time writers–and I think this article will now serve as a go-to tool for me to use with them. I try to explain such things to my writers, especially while editing their manuscripts. It can be hard to convey at times, using only the comments feature on Word review. Awesome problem/solution stuff presented here. Thanks again! Thank you for your kind comment, Tamar. Us writers need to work together to share tools of the trade, and strategies and tactics to remain motivated despite all the nay saying about the publishing world. Stories are magical and I think everyone has a story within them. The trick is knowing what work you need to do – where to spend your efforts – to help ensure you are able to tell that story in the best possible way. Again, thank you for taking the time to read the article. Hi Will, I enjoyed your article so much! Well said. In answer to your question, “how do you take yourself out of your fiction writing?” -Getting rid of filter words is a big one for me, and giving myself space from the work helps a lot. When I think it’s good, I put my work aside for a while, like months preferably. I need the distance from it. You’ve certainly got me there! With regards to the novel, I’m not sure I’ve reached the point where I’ve walked away from the work thinking it’s good. For me, it’s more a feeling of “did I accomplish what I set out to accomplish during this pass?” If the answer is yes, I move on. It’s an entirely technical analysis. Distance helps tremendously. And I think it’s one of the most difficult “skills” to learn. Thanks for the heads up, Patricia! I’ll add that note to the post — want to make sure we give credit where it’s due. …and in researching the quote, I learned that Lewis paraphrased Baudelaire! Thanks for keeping me honest, Heather! And thank you, Patricia, for the note. I read the Screwtape Letters when I was living in Ireland just after college. I had a tiny, one-room apartment with a fireplace and I’d huddle by it every night and read a ton of borrowed books. Such a great memory. Oh, thank you so much for this! I read a quote once by Gustave Flaubert when I was still in grade-something. It goes, “An author in his book must be like God in the universe, present everywhere and visible nowhere.” I remembered it when I read your post. So, thanks again for the great pieces of advice. I think my pen is eying me now. Rhymis, Omgahhh – that’s SUCH a great quote! Totally giving you (and Gustave) props the next two thousand times I use it. Thank you for sharing and for taking the time to read the article! Love that quote — thanks for sharing! Needed these three great tips – thanks! Thank you for reading, Ann!